Ever have a hard time remembering info about a Customer or Vendor? 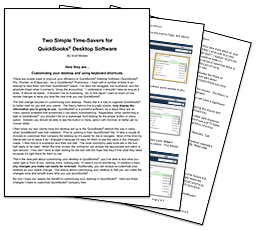 If so, QuickBooks has you covered with Notes! 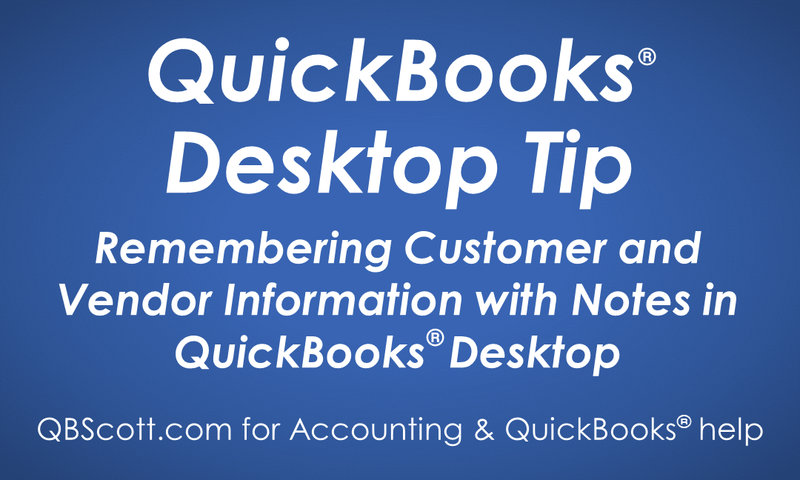 From the Customer or Vendor Center, simply double‑click on the Notes ﬁeld (1) for the customer/vendor needing the note. Enter the note (2) and click the “OK” button (3). 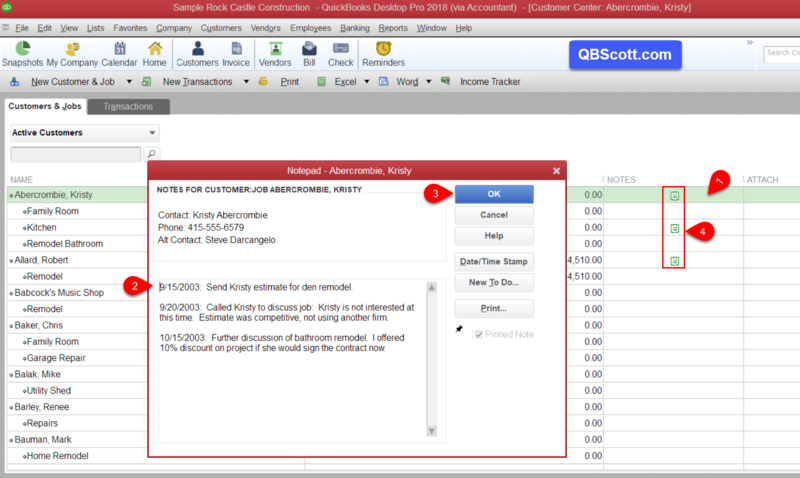 A Note Icon will appear next to any Customer/Vendor with a note (4). To view the note, just double‑click on the note icon and you’re all set.